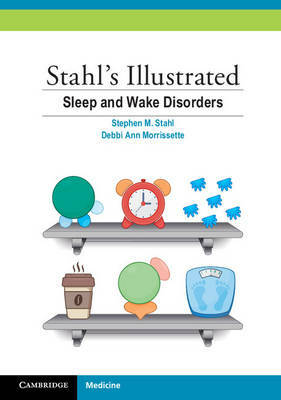 Stahl's Illustrated Sleep and Wake Disorders is a concise and highly illustrated guide to the environmental, neurobiological and genetic factors that influence sleep and wakefulness, with evidence-based guidance for the accurate diagnosis and optimal treatment of various sleep/wake disorders. All of the titles in the Stahl's Illustrated series are designed to be fun. Concepts are illustrated by full-color images that will be familiar to all readers of Stahl's Essential Psychopharmacology and The Prescriber's Guide. The visual learner will find that these books make psychopharmacology concepts easy to master, while the non-visual learner will enjoy a shortened text version of complex psychopharmacology concepts. Within each book, each chapter builds on previous chapters, synthesizing information from basic biology and diagnostics to building treatment plans and dealing with complications and comorbidities.